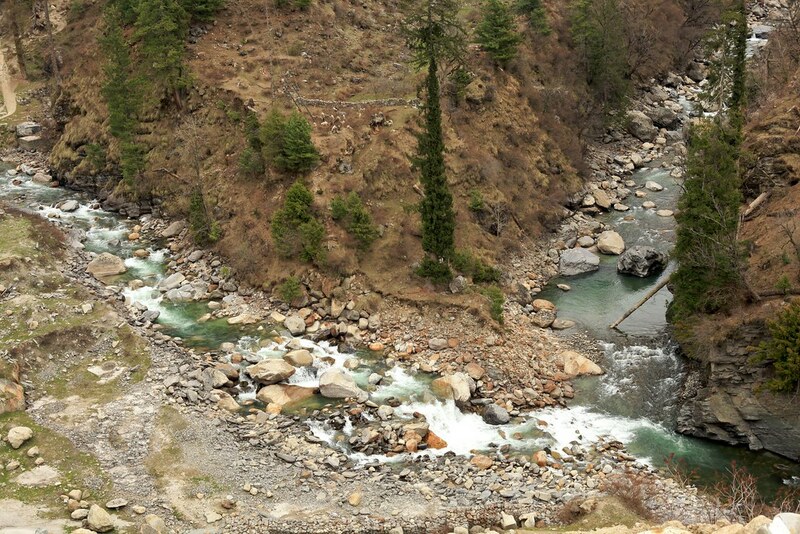 Reaching Barsheni: The trek starts from Barsheni, the confluence of Parvati and Tosh River. 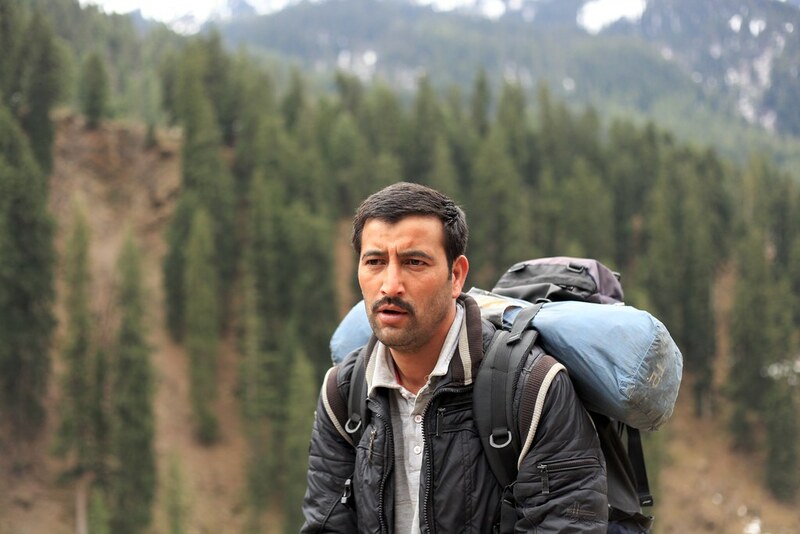 First you have to reach Bhuntar, Kullu on Delhi-Chandigarh-Mandi-Manali highway. 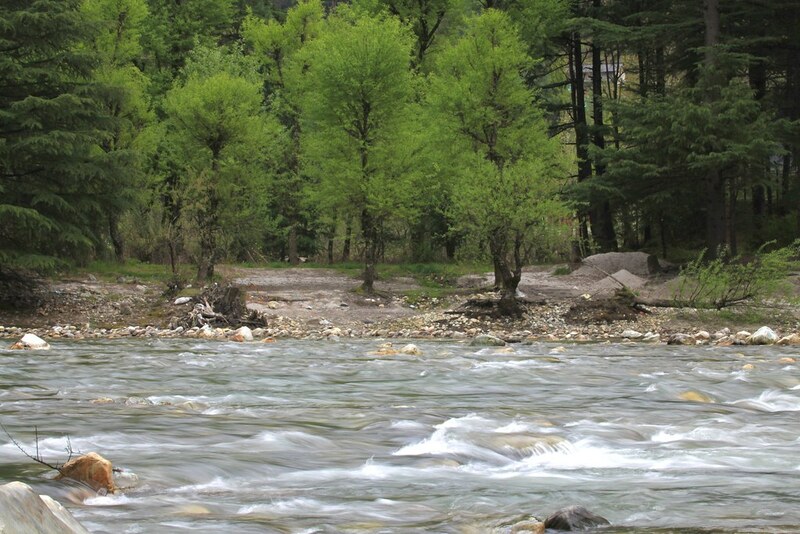 Bhuntar lies in the confluence of Parvati and Beas river. 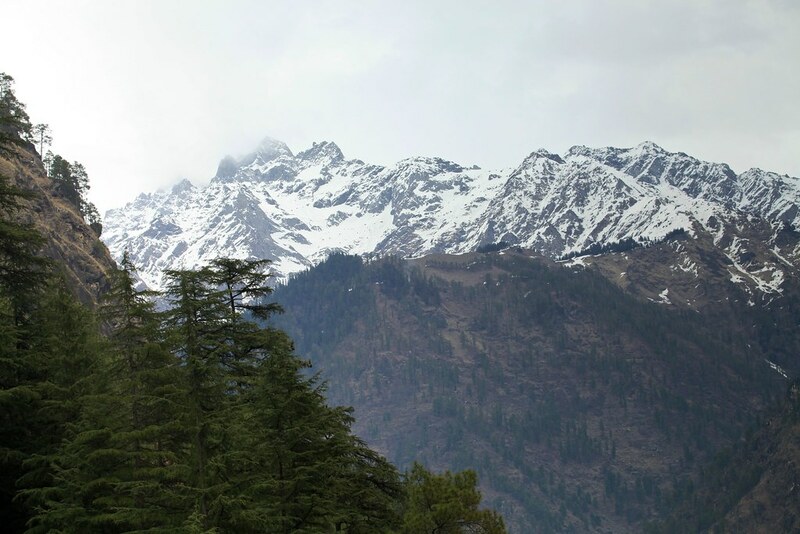 Delhi to Manali has frequent bus travel options as well as flights. 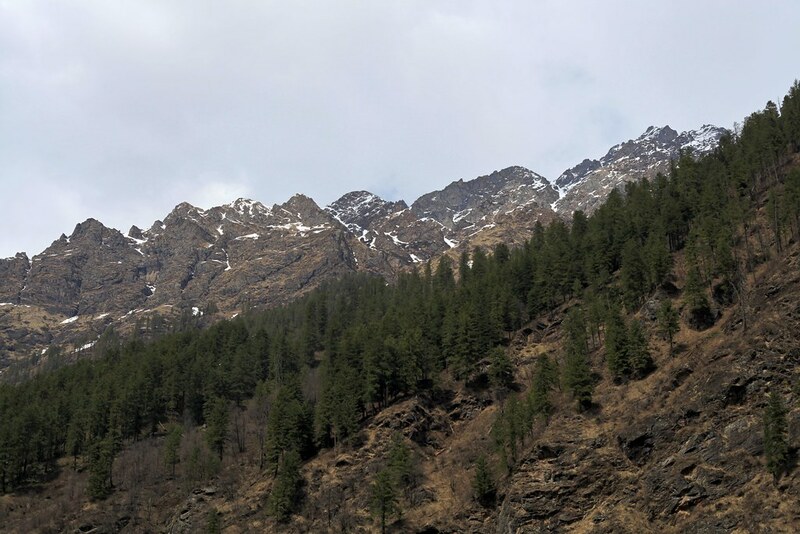 From Bhuntar it is possible to get a local bus to Manikaran and further on to Barsheni. 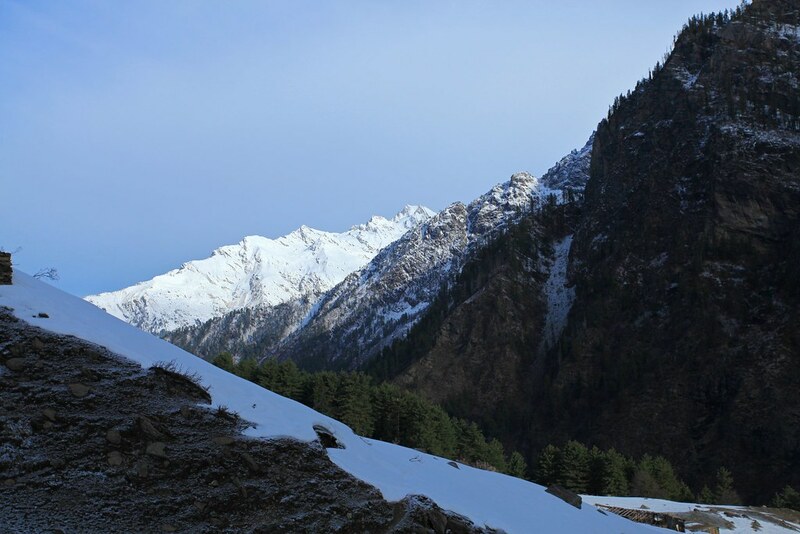 Barsheni to Rudranag to Kheerganga: The trek from Barsheni to Rudranag is along the true right banks of Parvati river. 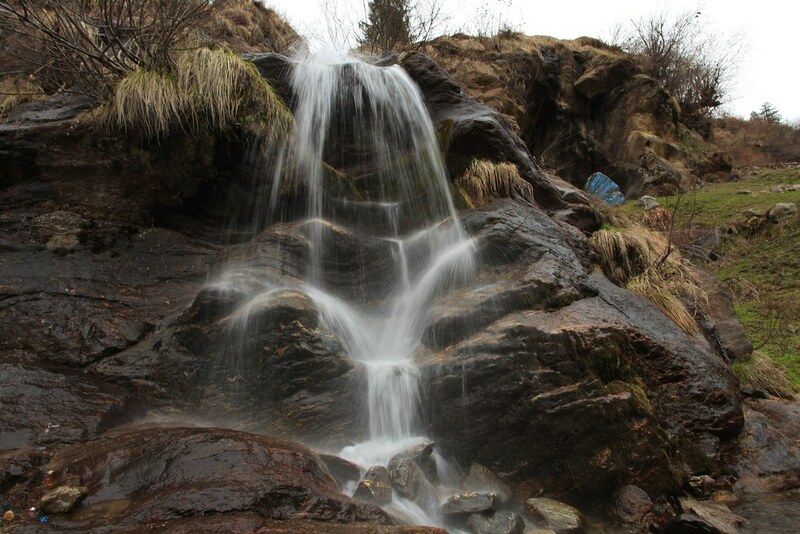 After crossing the river Tosh, climb up to the trail and continue in relatively easy gradient till you reach Rudranag, which boast an amazing waterfall which takes the shape of an angry serpent when full of water. 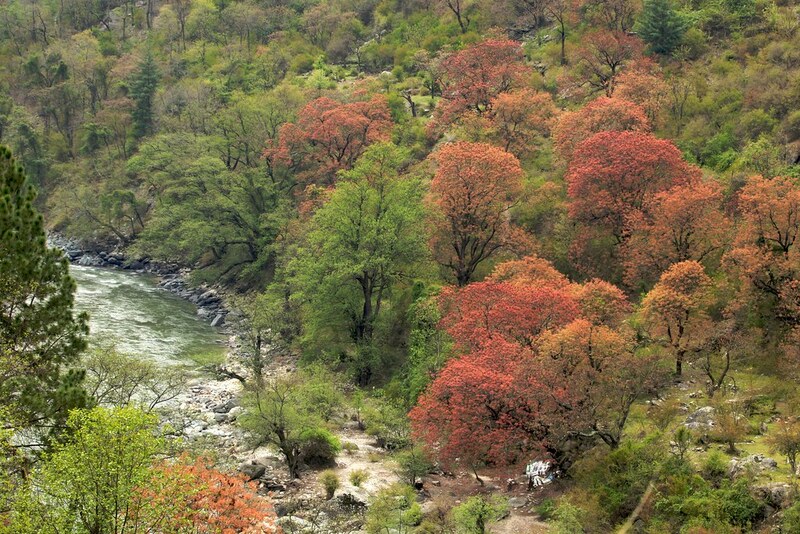 From Rudranag, cross the gorge on river Parvati and continue further on a steep climb towards Kheerganga. The trek time should be approximately 3 1/2 hrs to 4 hrs excluding time for food stop at Rudranag. 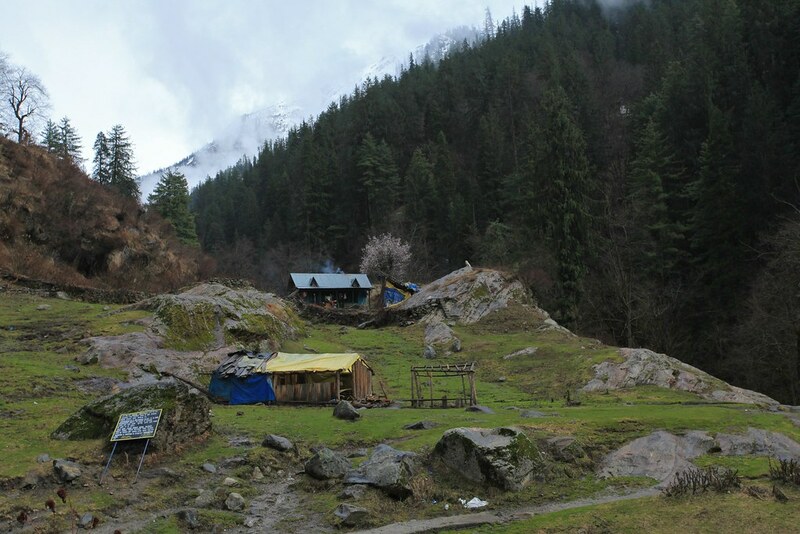 Stay: At Kheerganga there are several accomodation option similar to trekkers hut or dharamshala providing simple yet nice place to sleep. Read further below on our exploration of the trek in the late winter during Holi long weekend of 2013. 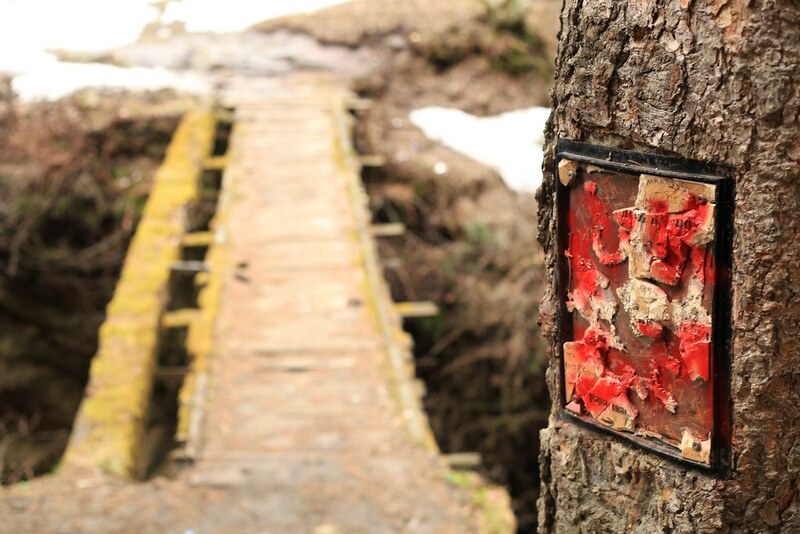 This was a road trip from Delhi and we were the first to reach the holy Kheerganga that season with no one around except few local workers setting up the camps for the summer season to follow. Holi is a very important festival in India. The festival of colors comes during the end of winter in March. 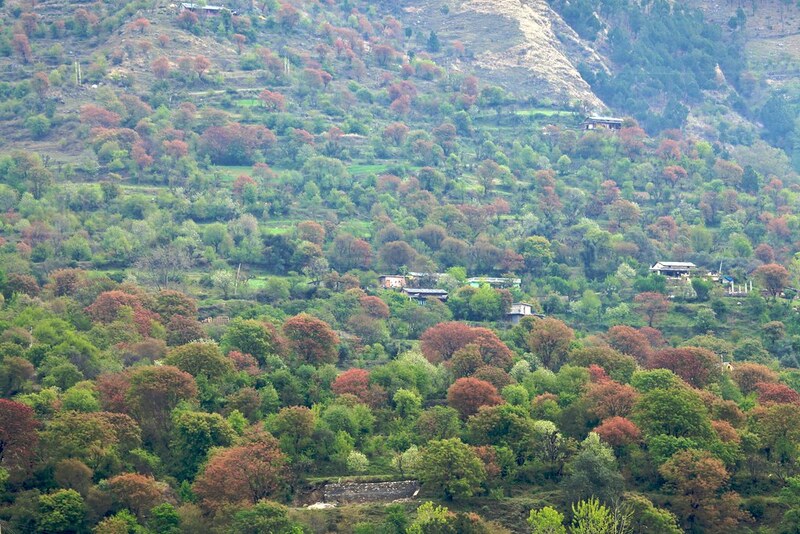 Matching with the theme of colorful Holi, a trip to Parvati Valley in Himachal Pradesh during this period is a treat for nature lovers. 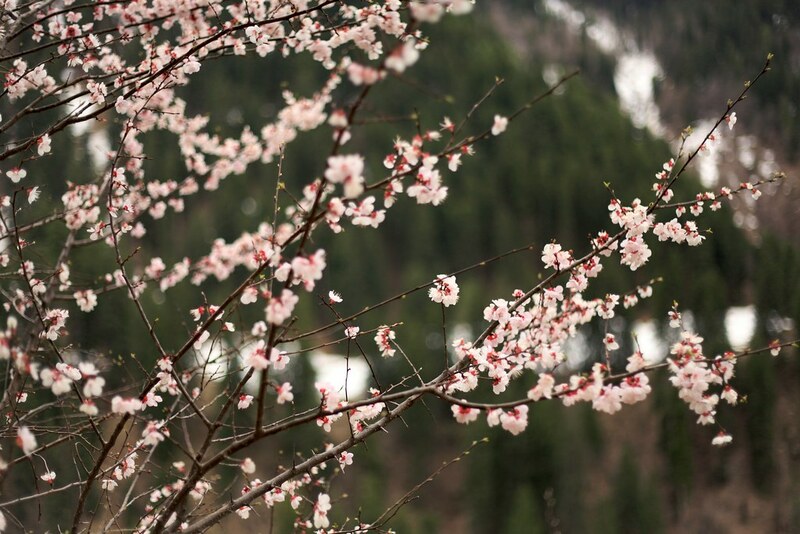 It was a longtime dream to capture the blossoming trees in the slopes of Himalayas during spring. 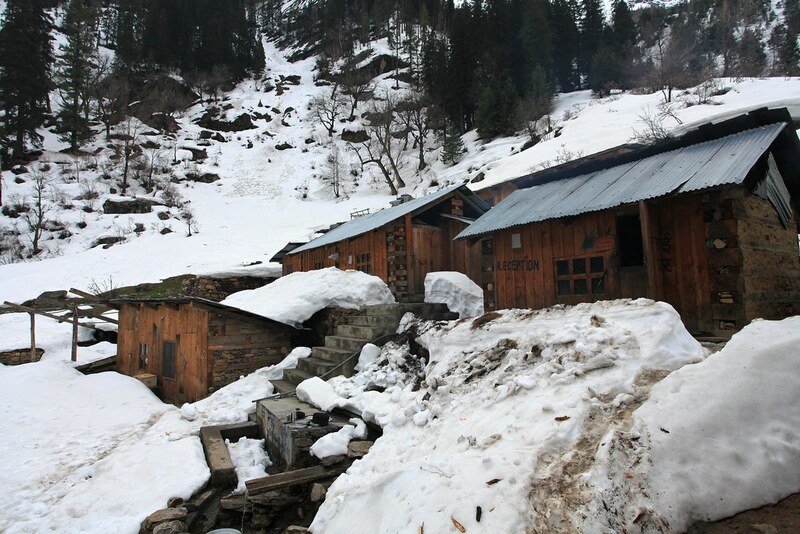 So we decided to head to Parvati Valley during Holi weekend in 2013. 26th March 2013: At 10 PM three friends have already completed dinner and discussing next day’s trip plan. We are supposed to leave early morning tomorrow around 5 AM. The total trip is expected to take around 12 hours from Delhi. 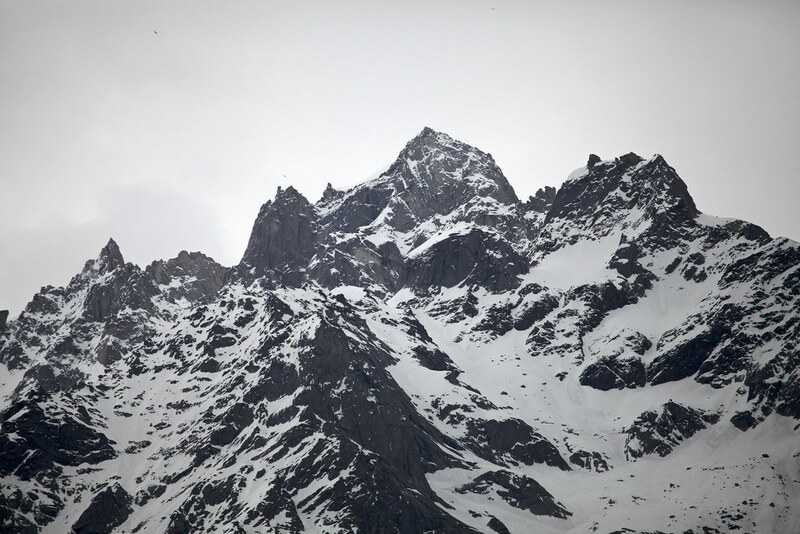 Then we decided that let us not spend the night in Delhi rather drive now so that we are at Parvati Valley by morning. We started at 10:30 PM from Delhi. The roads are clean smooth and we breezed through the lanes of the NCR. 27th March 2013: Around 2 A.M. we stopped at a dhaba close to Ambala for a cup of hot tea. Soon we were moving again. At 3:30 AM we are on the slopes and the pain started. The road from here Kiratpur to Bilaspur is simply pathetic. The new Hyundai i20 took the beating but we are at Mandi by 7:30 AM. From here the things changed. Awesome sunshine with clear views mesmerized us. 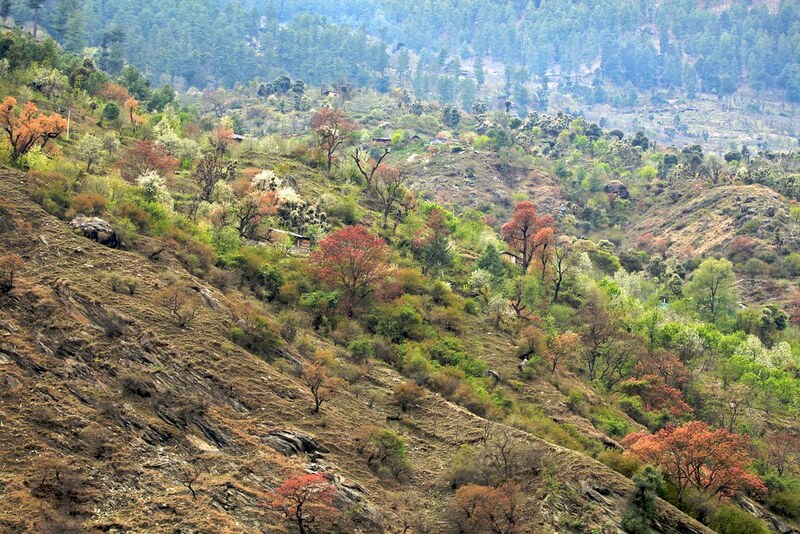 We moved slowly on the curves and enjoyed till we reached Bhuntar. 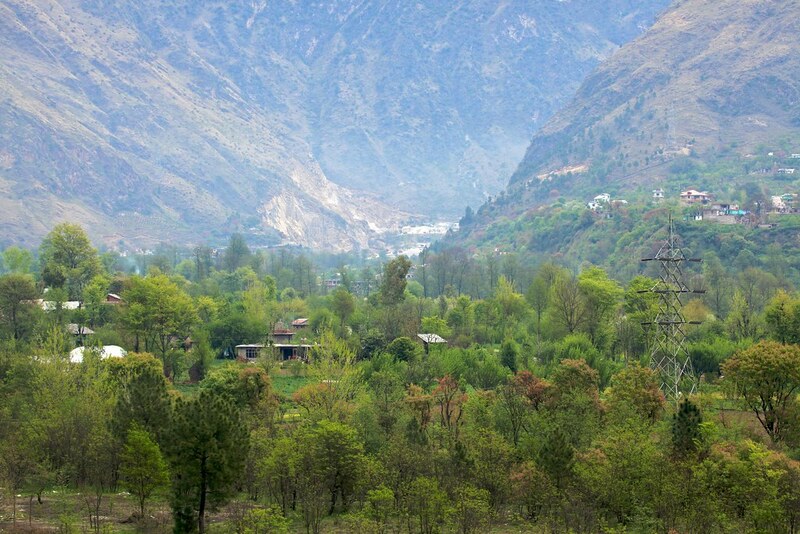 From Bhuntar we cross the Beas River and moved into the Parvati Valley. The colors around is mix of green, orange, red, yellow, white and many colors in between. The trees are all blossoming. 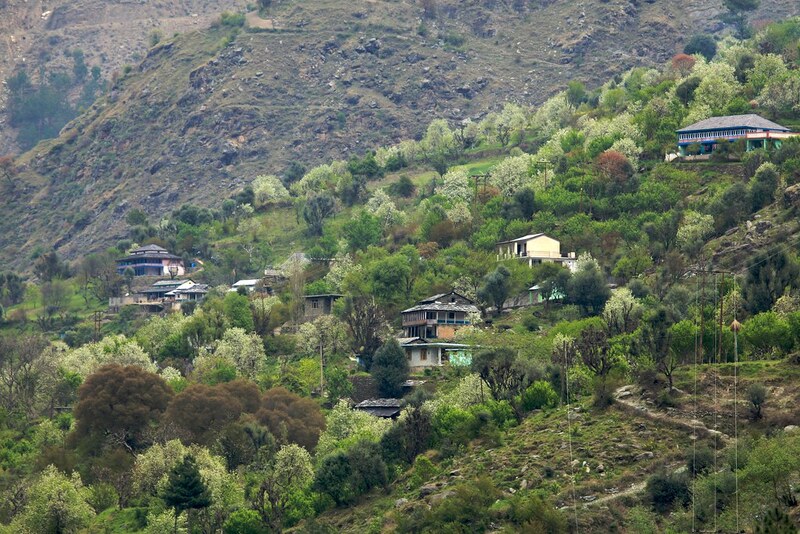 The apple orchards in the slopes are also in full bloom. Simply breathtaking vistas. The climb is starting from here till we reach Kasol our stop for the day. We stopped, clicked, explored and then finally reached our destination at 11 AM. 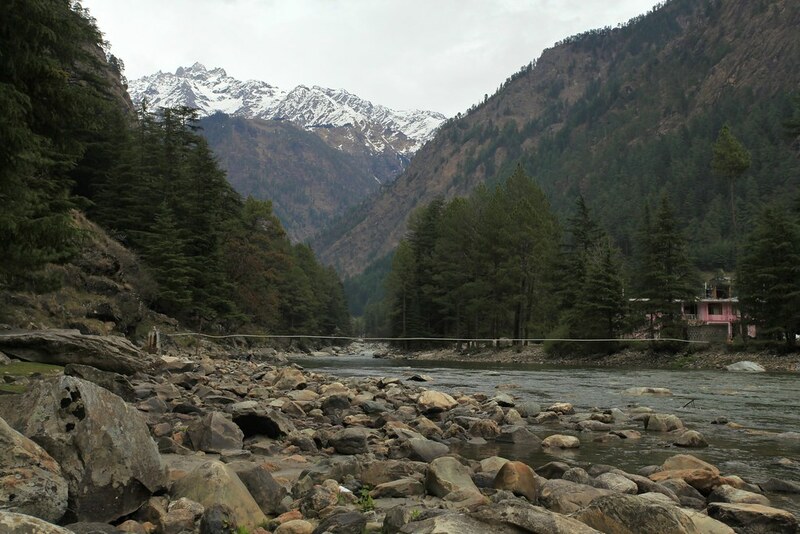 Kasol is a hamlet in the laps of Himalaya on the banks of Parvati River. There is lots of hot springs around the place. The hotels have direct hot natural water sourced from the hot spring. 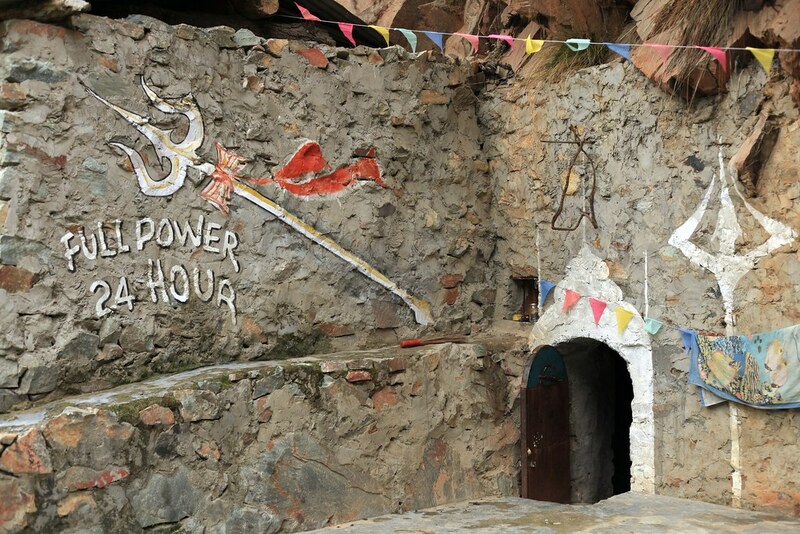 Remember the holy Sikh pilgrimage site Manikaran is just couple of miles away. 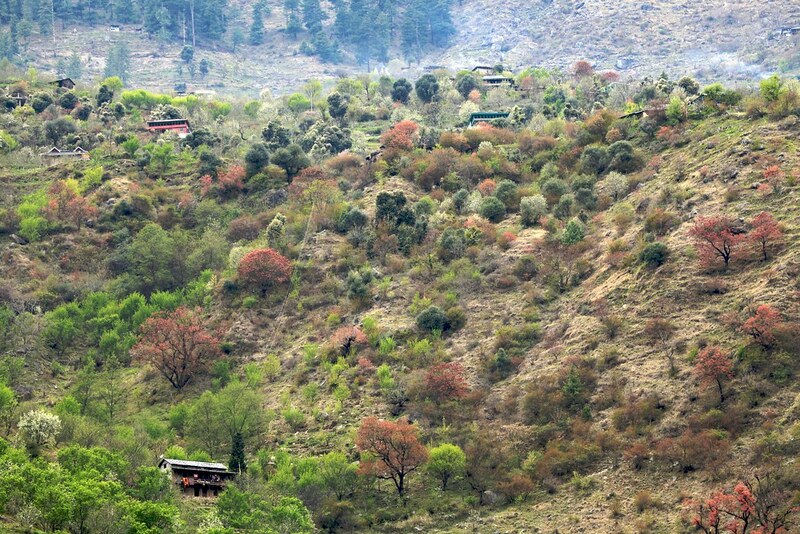 The experience of greenery around and the views of peaks while sipping hot tea are simply priceless. 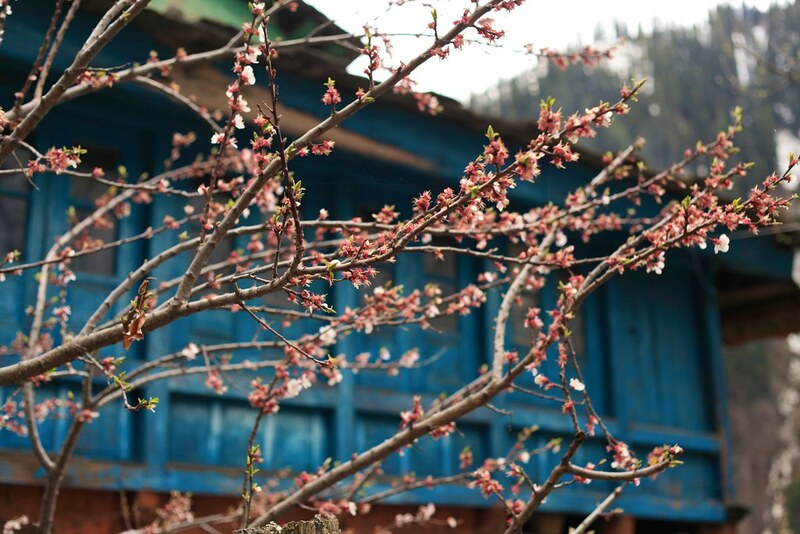 The food is one of the many reasons why people should visit Kasol. The taste, variety of cuisine is mouthwatering. Explore the place on foot and spent time on the restaurants. 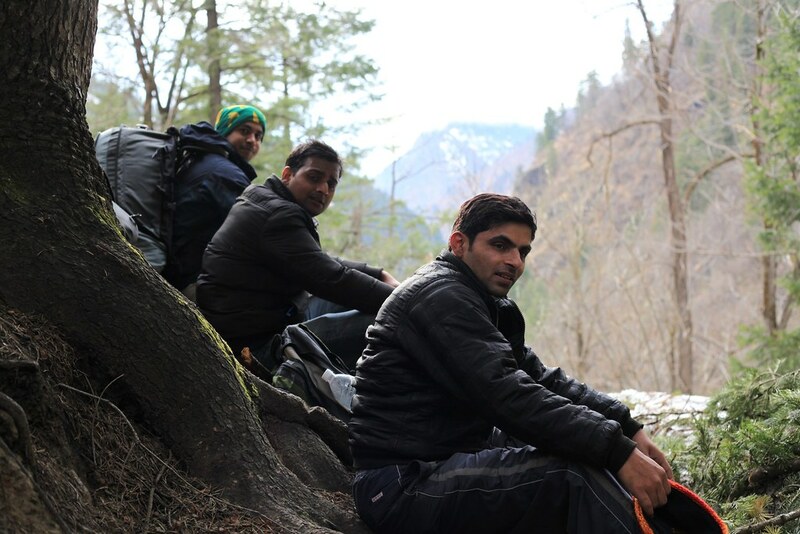 Kasol is very famous with foreign backpackers. The reason being the region is natural garden for marijuana. The trees grow around the slopes in the region. 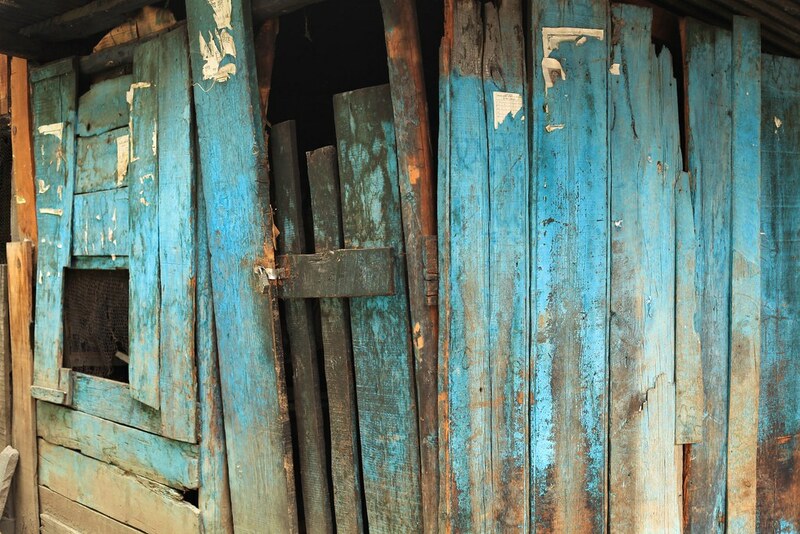 Particularly the product of village named Malana known as Malana Cream is very famous. Backpackers from all over the world visit to enjoy the forbidden fruits. Please remember that Marijuana is legally banned in India and if caught will lead to severe punishment. We had an awesome pizza lunch and then spent the afternoon lazing around the river. 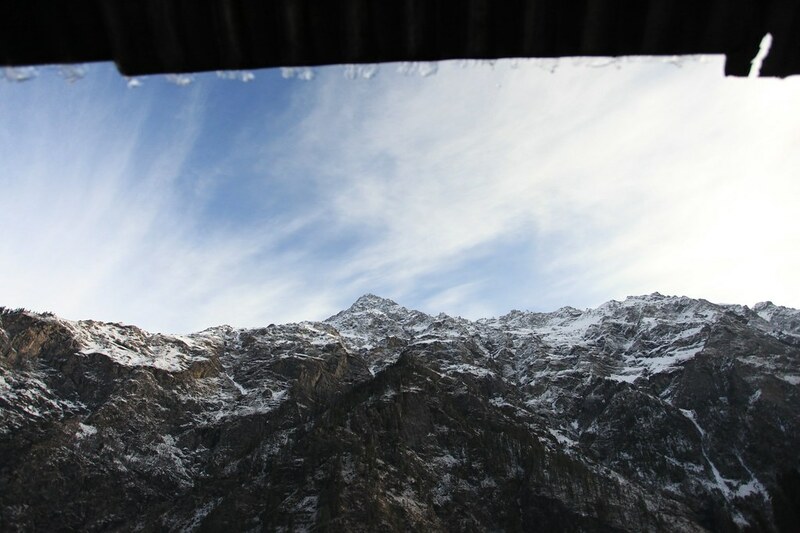 Tomorrow we hike to Kheerganga which is still under feet’s of snow. So we prepared for the hike in the evening and packed our gear. After a heavy dinner we went to sleep. 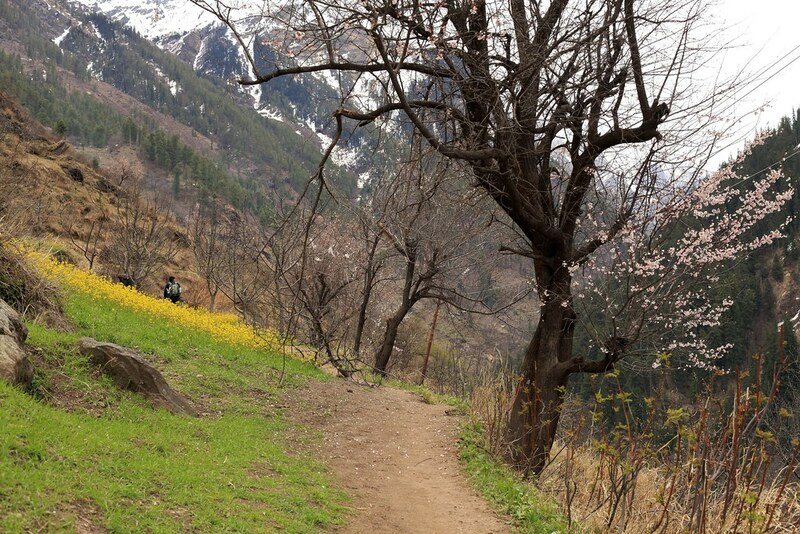 28th March 2013: From Kasol the road goes all the way up to Barsheni. The road is not in good shape but these 21 kms is a nice journey and takes approximately 1 hour. We reached Barsheni at 10:30 AM. From here we will walk on grass, sand, wooden bridges, snow and slush to reach our destination .Confluence of Tosh River and Parvati River happens at Barsheni. 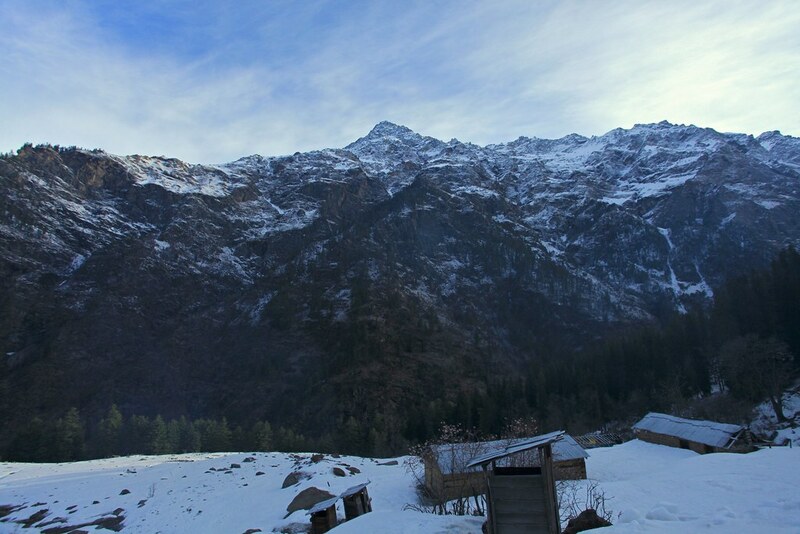 Barsheni is the starting point of the Kheerganga Trek. Incidentally there is a dam being built at the Parvati River downstream of the confluence and the scenes here will be under water soon after couple of years. 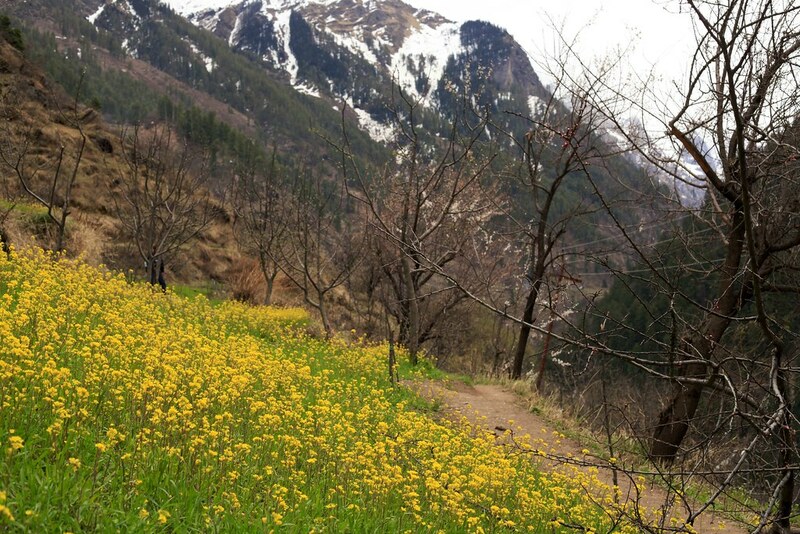 The trail to Kheerganga and Pin Parvati Trek from the true right of Parvati Valley through the Nakthan Village will be a dream. The only route will be the trail through the Pulaga Village. From the road we climb down the dam construction to the river bed and then cross the Tosh River over a temporary bridge. After this the climb up to the road level toward the true right of Parvati Valley. The trail towards Nakthan Village which goes on to Rudranag continues from here. 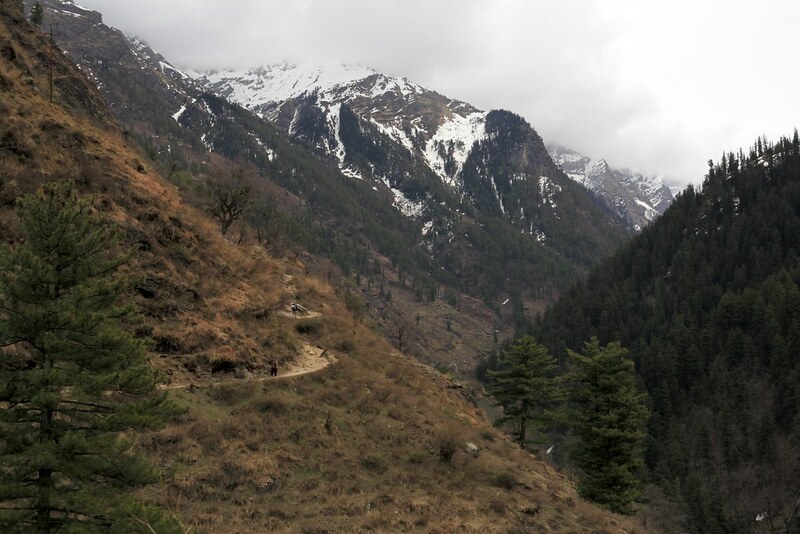 This portion of trail is on True Right of the Parvati River and from Rudranag the trail crosses the river and follows the jungle on True Left of the river till Kheerganga. We reached Nakthan Village in approximately 1 hour and then further 1 hour till we reached the awesome meadow of Rudranag. On the way there are several waterfalls which cross the trail and we stopped and captured the moments. 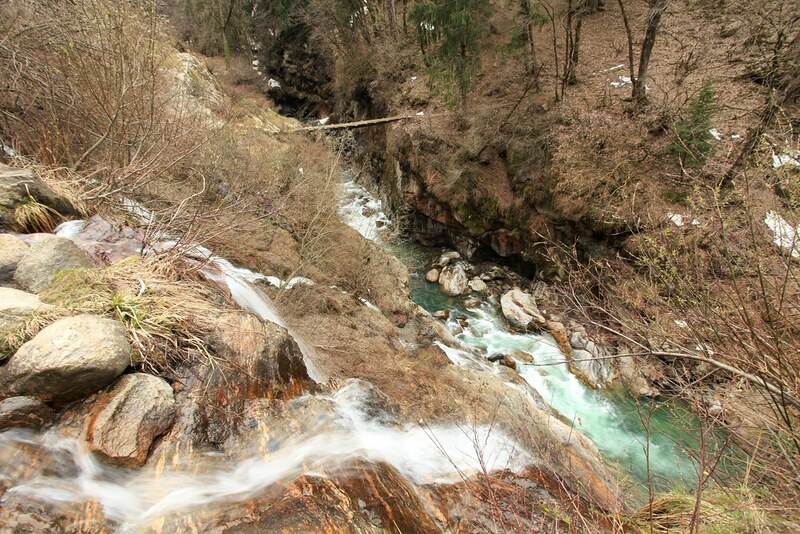 This big fall is the center point of the small meadow of Rudranag. Bulk of the water is diverted from the top to a hydraulic motor which is used to grind the wheat. 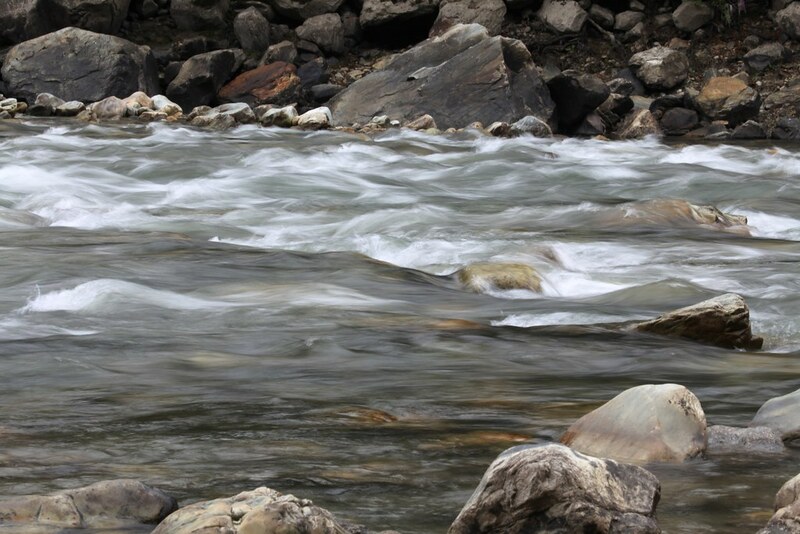 Once the complete flow of water reaches the falls, the water comes out like a snake head and hence the name Rudranag. We had our lunch here and after rest of 1 hour we started again. We stopped at the dharamshala and cooked rice and dal and the food was awesome. While we are enjoying the lunch, it’s pouring outside and the rain continued for approximately 20 minutes. Soon after Rudranag we crossed the river over an old bridge which is very scary. 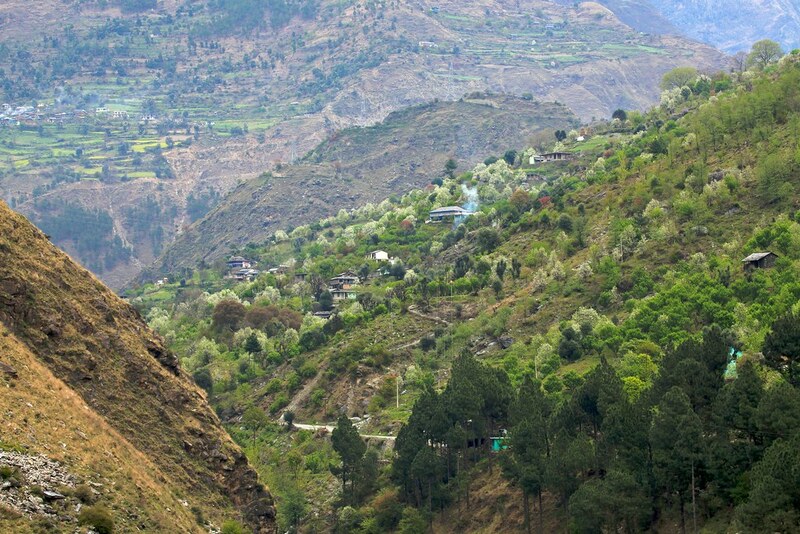 The mighty Parvati races through the steep gorge hundreds of feet’s below. After the bridge we climbed for almost half an hour and this was pretty steep. Then when we reached the flat section and encountered the snow. From here the going is getting slow. Some patches are very scary and crossing the ice is difficult. We kept on moving and moving and finally the flat section ended and the last climb started after an hour. 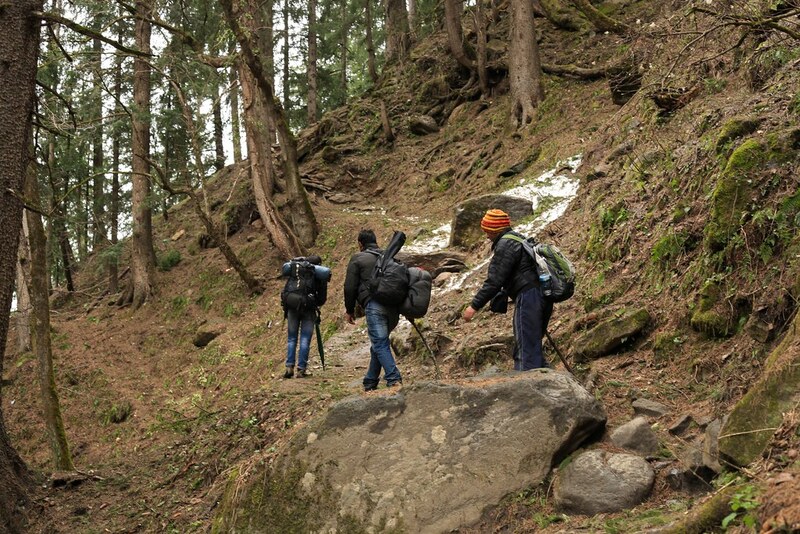 This climb on snow was very tiresome and we reached the meadow of Kheerganga. Kheerganga the scene we have seen in pictures is all green. But nothing in front looks close to that. Everything is white and only white. 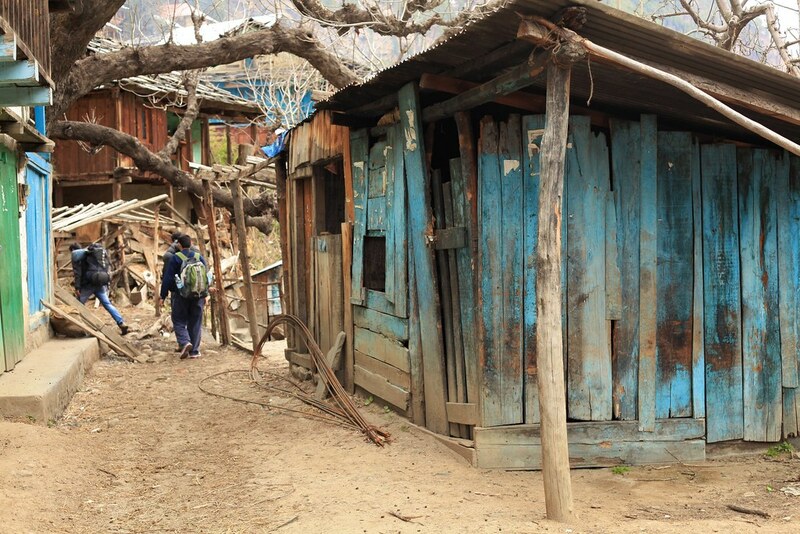 We found a place to stay for the night and this dharamshala has Bukhara. As we settled inside it started snowing outside. We lit the fire in the Bukhara and enjoyed the awesome snowflakes falling outside. Very soon it became dark and we finished our dinner which was hot rice, daal and sabji we picked up from Barsheni. Sweet dreams and we are sleeping. 29th March 2013: We woke up early and the sky was clear. There is fresh snow all over the clear patches. The peaks are so close that it feels we can touch them. We enjoyed the snow and visited the temple after a dip in the pool. Yes we took a dip in a natural infinity pool with warm shimmering water from the hot spring. This is the best part of the trip and we almost spent an hour in the pool. We could not imagine that all around the temperature is below freezing and snow white and we are in a pool. This is a priceless experience. At 11.30 AM we had a hot lunch and started moving down towards Barsheni. 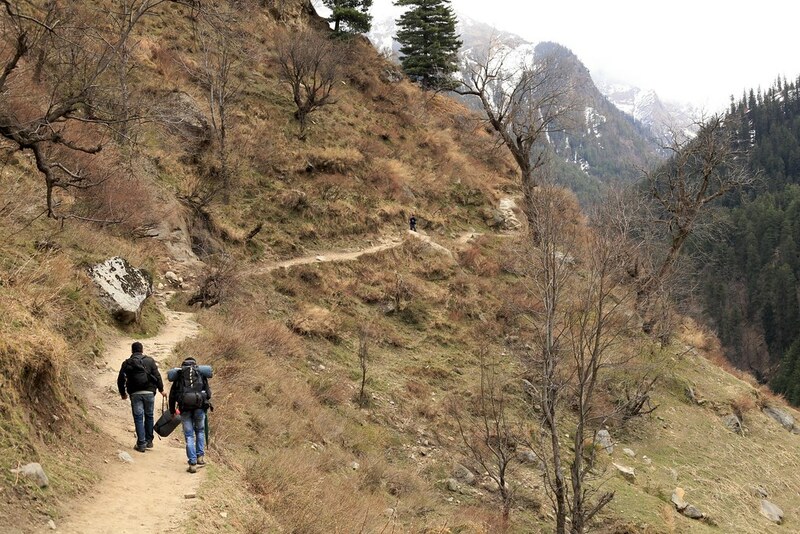 At 3:30 PM we reached Barsheni on the same track and waited for a pickup to Kasol. 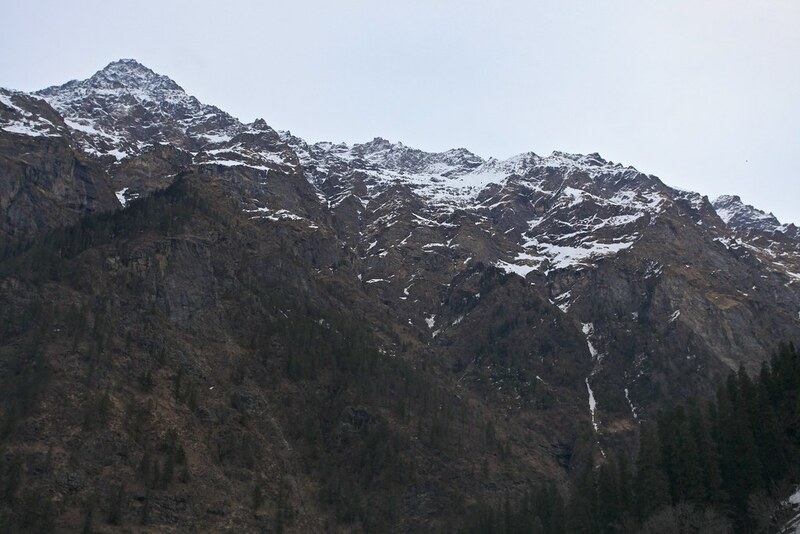 We reached Kasol at 5PM and then moved around the place till nightfall. 29th March 2013: We started early at 5 AM for Delhi and reached home at 7 PM after a 14 hr continuous and very tiring journey. 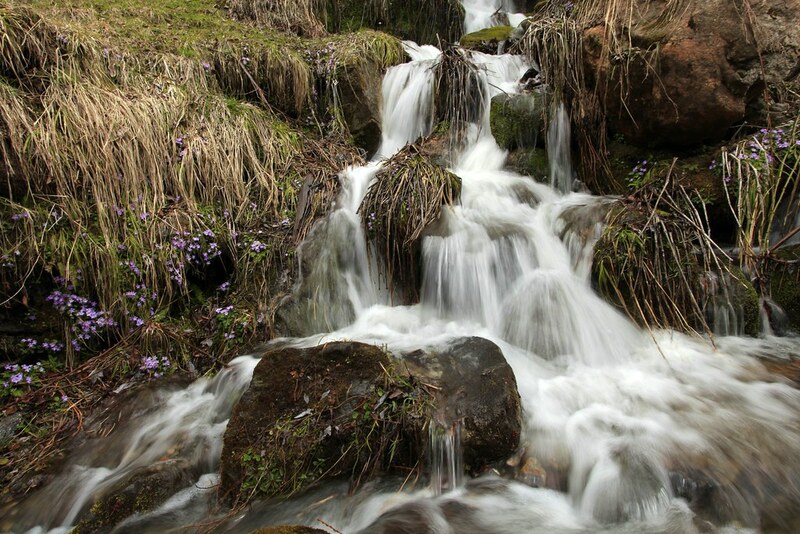 Kheerganga Trek is undoubtedly one of the rewarding trek which can be done over a long weekend from Delhi. We loved it.